Abdullahi Haliru-Danbaba, the Kwara House of Assembly candidate of the All Progressives Congress for Kaiama/Kenmaji/Wajibe Constituency, says the North Senatorial District will vote for President Muhammadu Buhari and other APC candidates in the general elections. Haliru-Danbaba told the News Agency of Nigeria on Tuesday in Ilorin that the senatorial district had been in alliance with the political dynasty of Senate President Bukola Saraki for years without any tangible development to show for it. He explained that inspite of the allegiance to the Sarakis for years; Kwara North had suffered perennial neglect in terms of infrastructure and human capital development. NAN reports that Haliru-Danbaba was a Special Assistant on Non-Governmental Affairs to Governor Abdulfatah Ahmed before he resigned to join the APC. He said: “We have been persistently in Saraki’s political dynasty. 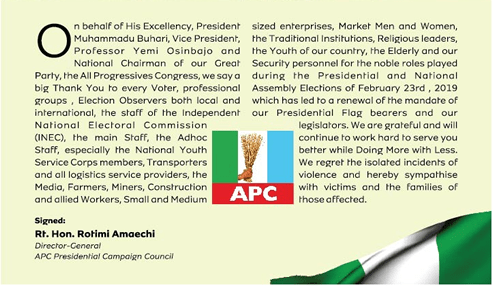 “With the critical appraisal of our allegiance to the dynasty, we got to realise that there is nothing tangible to show to the people of Kaiama Local Government and others as a result of our loyalty and allegiance to that dynasty. “So, our people unanimously asked me to resign my appointment on Non-Governmental Affairs to Governor Abdulfatah Ahmed and come back home and contest. “On getting home, I was endorsed to be the candidate of APC for Kaiama/Kenmaji/Wajibe State Constituency. “Perennially, we suffer neglect in terms of infrastructure, human capital development. He told NAN that he was optimistic that the agitations and yearnings of his people would be met under an APC government at the state and federal levels. This, he said, had been demonstrated with the recent approval by the Federal Executive Council of the construction of the New Bussa-Wawa-Kaiama road project worth N23.8 billion. 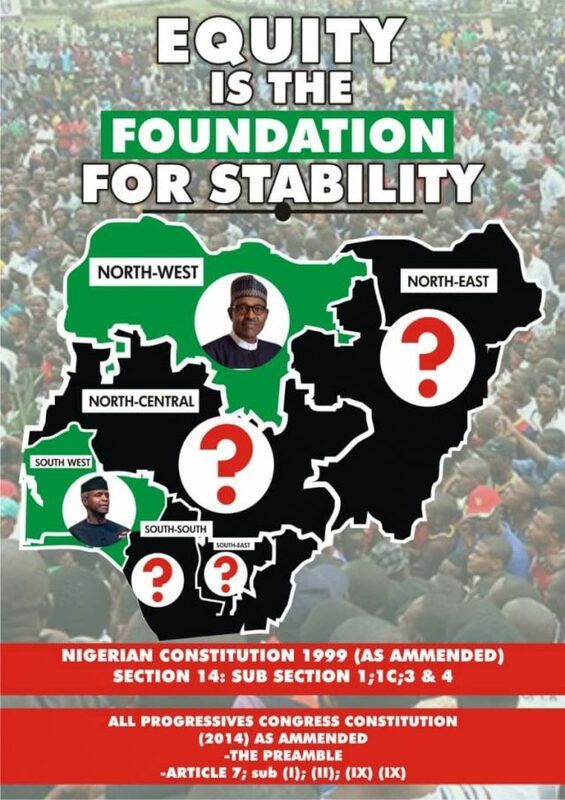 He said: “It is a well known fact that the APC agenda and manifestoes are anchored on three major things – fighting corruption, revamping the economy and ensuring internal security. Haliru-Danbaba condemned his former principal for lack of commitment to the construction of Kishi-Kaiama road which he said was started in 2014 inspite of reimbursement from the Federal Government. He said: “Despite the whopping sum of over N1 billion released to the state government, the job done was not commensurate with the money released. “Even if the contract is N100 million per kilometre, by now we should talking of getting to Gate community and that is about 12 kilometres from Kaiama. “But there is nothing to write home about the job presently. Haliru-Danbaba, who disclosed that contractor had since abandoned the site, urged the Federal Government to heed the people’s call and take over the construction from the state government being a federal road. He also promised to showcase the potentials of the area as a food basket of the country while highlighting its challenges with a view to addressing them. The APC flagbearer identified the challenges to include lack of good roads as well as primary health facilities and potable water. He gave an assurance that Kwara North Senatorial District would deliver 90 per cent of the votes to the president and all APC candidates in the general elections.